M*A*S*H began its life as a novel written by former military surgeon Dr. H. Richard Hornberger. In hindsight, it was highly unusual of Robert Altman to adapt such a book, for he felt Mr. Hornberger’s work to be terrible – particularly in regards to its blatantly racist rhetoric. By his own admission, he only used Ring Lardner Jr.’s screenplay as a springboard. Perhaps the most obvious liberty Mr. Altman took with the source material lies in the subtext. 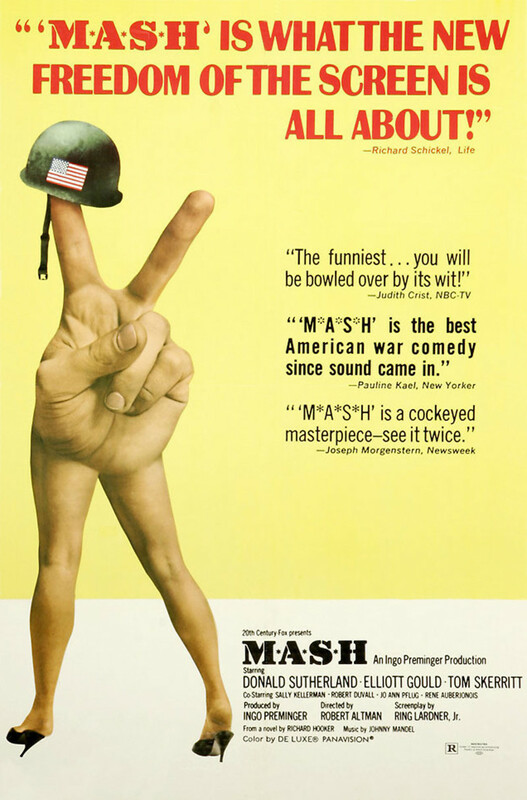 Despite being set in the backdrop of the Korean War, M*A*S*H was heavily influenced by the Vietnam War, which had been taking place throughout the film’s production cycle. In addition to boasting hairstyles that wouldn’t exist for another two decades or so, the leads’ characterizations are more in line with the archetypal baby boomer than members of the greatest generation. Then, of course, there’s the film’s iconic opening theme, “Suicide is Painless”, the lyrics of which were influenced by singer-songwriter Leonard Cohen. It is a song highly emblematic of the period that spawned it, adding to the odd juxtaposition of the two eras. Beginning with a decidedly angst-laden theme superimposed over many scenes of wounded soldiers, the uninformed viewer might be taken aback when they eventually realize they’re watching a comedy. It is certainly a dark comedy given the subject matter and setting, but it uses its gritty undertones to add to the absurdity rather than detract from it. Hawkeye and Duke prove to be quite the mischievous pair with their womanizing displays and constant insubordination. It’s a little difficult to describe the plot of M*A*S*H because it’s easy to make the case that there isn’t one. Had it not been for its wartime setting, M*A*S*H could be interpreted as a slice-of-life story, as we’re just following the misadventures of the 4077th. It takes a lot of talent to make such a structure-free narrative watchable – especially when one considers the novel, if anything, had even less of a central plot. There are plenty of subplots to help move the narrative forward, and the production team did a remarkable job making them flow into each other seamlessly. What begins as a plot to take an uptight major down a few pegs leads segues into the leads helping a comrade deal with his suicidal urges. After that, Hawkeye and Trapper travel to Japan to perform surgery on a congressman’s son. All of this is capped off with a football match between the 4077th and the 325th Evac Hospital. 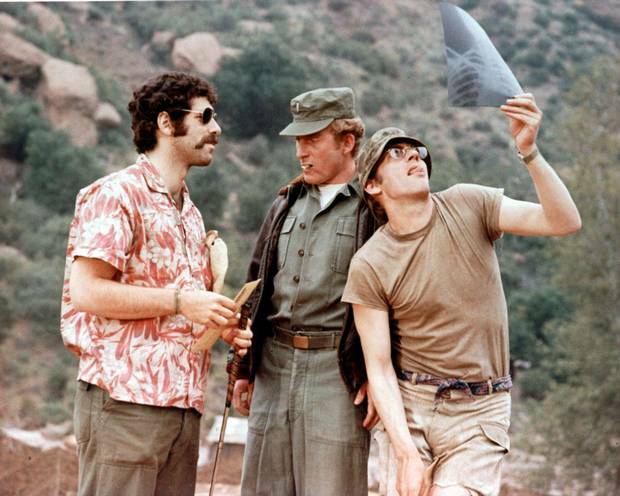 Due to its odd narrative structure, M*A*S*H is a decidedly character-driven film. 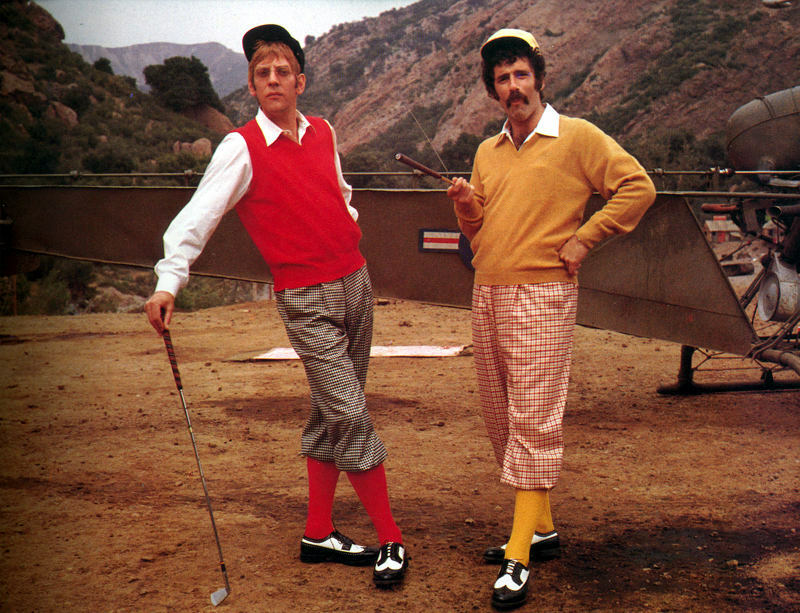 Though M*A*S*H is a quintessential wacky comedy, its leads have quite a bit of depth to them. Hawkeye and Trapper are quite boorish, particularly when they humiliate an uptight major by tearing down the shower tent as she is using it, yet these are not a pair of useless frat boys somehow made to perform surgery for the sake of comedy. You’re not sitting there wondering what college would be lax enough to award Hawkeye and Trapper their degrees; they care deeply about their work and the continued survival of their patients. They also care about the other members of the unit as evidenced by how they go out of their way to cure their comrade’s suicidal thoughts. Because the unit isn’t staffed by woefully inept frat boys who have no business handling a pair of forceps, M*A*S*H instead derives quite a bit of its humor from the various situations that occur during the unit’s off-time. The number of announcements made over the intercom that aren’t hilariously mangled can be counted on one hand. It doesn’t help that said announcer doesn’t comprehend the concept of military time. My favorite moment, however, occurs during the climactic football game. The 4077th gets a ringer to win an enormous bet against the 325th. Unfortunately for them, their opponents thought to recruit a ringer as well, and unlike the 4077th, they deploy him immediately. When they begin losing badly, the 4077th puts their medical knowledge to good use by drugging their opponent’s ringer. They even make sure to wipe the spot on his skin before with an alcohol swab for good measure. Making use of this devious tactic, the 4077th snatches victory from the jaws of defeat. As a fitting coda for these comic misadventures, when Hawkeye is discharged from service shortly thereafter, he leaves with the same stolen Jeep in which he arrived. Looking retrospectively on M*A*S*H is quite interesting. It was released in the same year as another anti-war satirical film, Catch-22. Based on a famous novel of the same name by Joseph Heller, the people behind Mike Nichols’s cinematic adaptation were expecting it to be a gigantic success. Meanwhile, owing to its freeform, episodic nature, being based off a novel that was, at best, mildly popular, and the troubled journey it had getting to the silver screen, everybody involved thought M*A*S*H would be doomed to fail. Indeed, Mr. Altman was only hired because no other director would sign on. In a case of dramatic irony, Catch-22 was a commercial and critical flop while M*A*S*H became a smash hit, launching the careers of Donald Sutherland and Robert Altman. Demonstrating that real life can be the ultimate comedy, this project nobody had any faith in even managed to win the highly desirable Palme d’Or award at the Cannes Film Festival in 1970. With its boorish, irreverent leads disrupting an institution known for its rigid standards and practices, M*A*S*H comes across as a rough precursor to Animal House and the subgenre of college-set comedies it spawned. Even in the face of its many spiritual successors, M*A*S*H manages to stand as one of the greatest comedies of its day. Mr. Altman created something truly unique: an anachronistic black comedy set in the Korean War with more applicability to the contemporary conflict in Vietnam. The result is a humorous period piece with a surprising amount of heart that manages to impress even today.